Making the rounds on cloth diaper sites is an article written by Hannah Karp for the Wall Street Journal titled How Tough are Times? Parents Cut Back Diapers. Hannah presents expert suggestions as to why sales for disposable diapers are down. The two reasons being low birth rates and economic problems. But, there are other factors I believe are contributing to the decrease in disposable diaper sales. Parents are smarter. They care what goes in and on their babies’ body. According to the Organic Trade Association (OTA) sales for organic baby food increased 10% in the last year. The Organic Trade Association, or OTA, seems especially optimistic. Their latest survey says that growth in the organic sector has dramatically outpaced growth in the “regular” food market. The organic market grew 8% in 2010 while the rest of the food industry grew only 1%. The OTA also estimates that 75% of organic farms will maintain or increase their current levels of production in the next 5 years and 96% of those farms say they’ll hire more workers in 2011, too. Green trends continue to rise. Businesses are hopping on the green bandwagon in droves. Why? Because consumers demand it and it saves them money internally. Overall there is a movement towards the more natural way. We can get an idea at the increase in green businesses by observing the participants in events like the 2011 Green Business Challenge. Speaking of a more natural way, Americans are choosing alternative medicine over conventional medicine more and more every year. Studies done in 2002 and 2007 show an 18% increase in use by whites (17% by Asians). With all the Obamacare junk (eta: there is no political slant to this term, both major parties argued fiercly over aspects of the plan which equates to “junk” in a non political blog ;) And medical share programs have seen a sharp increase in memberships since the passing of Obamacare.) floating around that number has undoubtedly skyrocketed. All of these things contributed to the decrease in disposable diaper sales. I also think that it is the disposable diaper companies own fault for their cut in profit. Their attempt to make a more absorbent (and more dangerous) diaper has led to the necessity for fewer diaper changes…they got what they wanted. A look around at the cloth diaper industry shows overwhelmingly that sales have increased. Cottonbabies continues to release new products to meet their ever growing massive consumer base. Cloth diaper related business are steadily increasing at major events like the ABC Kids Expo. On the local level, it’s not so uncommon to know 3 or 4 other moms that cloth diaper (this is much different than 6 years ago when I started cloth diapering). The decline in disposable diaper sales isn’t surprising to me. It makes me smile. Not because some CEO is making less money (although I know he isn’t) but because it shows a move in the right direction. My job is to spread cloth diaper awareness, to increase the number of families using cloth diapers and in turn decrease disposable diaper sales. I pray that I am doing my job well and I look forward to reaching thousands more new families over the coming months. Thank you for your advocacy. You are the only blogger I advertise only website since you spell it out (my concerns & queries) before I can put it together. Big hugs to you and keep it up! Do you think this trend will continue once the economy starts to pick up? People have short memories. Also there are so many alternatives such as chlorine free diapers. This is simply my opinion and is in no way connected to Autumn Beck or her political views which I am not aware of!!! I read this article on why disposable sales are down. I’d like to think it has more to do with all of the green initiatives going on, but wonder if people are stretching their disposables for a little bit longer too. The economy has its affects on all of us. Cloth diapers are a great way to save though. 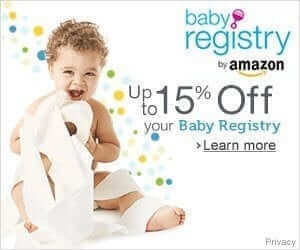 On average you pay $15 a week for diapers, for up to 3 years, that’s crazy. With cloth it’s a couple hundred up front, and maybe more water use. I love cloth. We went to cloth diapers for enviromental impact and the reduction of chemicals on our baby but the extra bonus is the cost savings! I couldn’t imagine going back to disposable diapers. Great article as always Autumn. I wish I could say sales are down in our household but a constant eczema problem is causing my CD to go out of commission. I have enjoyed a year of CD our daughter to have to finally throw in the towel till the next baby. Her eczema flares like crazy and we can’t find a solution other than disposables. Any advice is welcome, please! Fantastic article! I love hearing that the sale of disposables is down, and I think it will continue to decrease as long as knowledge of alternative choice is shared and cloth diapers become more accessible. I know a few other cd’ing parents but it is wonderful to have the support of many, especially when I have come across problems. I really value and am grateful for the information you’ve shared in your articles, so much that I referred a friend expecting her first child and who has chosen to use cloth. I hope the trend continues, I think it’s a good thing for everyone. I found the article enlightening! Thanks for your good information! Well, I for one was NOT offended in any way, shape or form by your Obamacare comment. I took it as all of the back and forth in the office while politicians argued about it and using the term, “junk” to refer to all of that, and to refer to everything associated with it. I use that phrasing all of the time (using words like, “junk,” “crap” and “stuff” to mean a broad range of things that I don’t feel like going into detail over each and every, single thing). Great atricle, but I only know 2 people who cloth diaper (my sister-in-law and her friend), so my neighborhood hasn’t quite caught on yet. I was also offended by the term “Obamacare Junk.” I was shocked to see you write something that could be considered offensive on your normally non-political, non-judgmental blog. Actually I find the term “Obamacare” itself to be offensive. I have been reading your blog for over a year and my jaw literally dropped when I saw what you posted. I just was not expecting it. I know it is your blog and you can write whatever you want, but we are here to read about cloth diapers. I agree with prior posters. I was offended with the term “Obamacare junk”. You can say that you didn’t side with one side or the other because “both parties have many followers not in favor of the entire plan” but it is still a deragotry and demeaning term. I’m disappointed. Your blog was one of the first that I ever followed and helped me a lot in the beginning of my CDing journey. You certainly have the right to throw slanderous terms around in a non- judicial manner. It just made me sad that you did. I am a fellow Texan and I know that “Obamacare” (which itself is borderline offensive) is a term that many think is no big deal. Just as many automatically assume here, that you are anti PRESIDENT Obama because of where we live. It is wrong to assume that I agree with your political view point based on where I hail. I am not saying that you went that far, I am just saying that I get that a lot here. This feels similar to that and I was saddened by the word choices used on such an exciting topic. ‘Sposie sales are down? That’s fantastic!! However, words have power and I won’t be sharing this post with friends because of the negative I believe it puts on our president. I don’t know too many families with kiddos in diapers, most of them are freshly potty trained or school aged. But I have quite a few friends who see how easy CDing is and have told me they’d do cloth if they could go back and do it again. We watched a couple’s little one overnight a few months ago. He’s in disposables. Over the course of the evening and following morning, I changed diapers whenever the child wet the diaper, which is how we diaper whether we’re in cloth or disposables. When the mother picked up her kiddo the next day, she was floored at how many diapers we went through! I was shocked that people take the absorbancy of disposable seriously. She commented that they usually wait until the diaper is “full” before changing. While I’m not trying to judge this mother, I can’t understand why you’d want to leave a little one in his/her urine filled diaper for maybe 2-3 hours before changing. She couldn’t fathom the cost of diapers if she changed every time the diaper was wet. I guess I’m used to getting to reuse my diapers without considering the cost of each one. In fact, the more I use a diaper, the “cheaper” it gets per change! The mother from the above story seriously contemplated CD’s after that night. She went through my stash and learned about different diapers, searched out diaper stores and asked other friends who CD about them. In the end, she chose to stick with disposables, which is her personal decision. Autumn, You have done your job. Your website was the big push that switched us to cloth. Thanks so much! Parents are becoming a lot greener and more aware of what goes in/on their children. No longer do we just accept what we are being fed by the media, we want something better for our kids and are willing to pay for it. 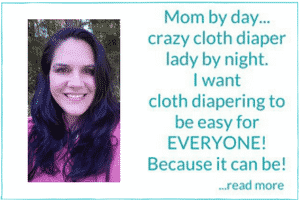 I am so excited that I recently inspired a mom to finally take the jump into cloth diapering. Which is why I love your blog. You inspire and make it seem so simple and easy. *whether one agrees with Obamacare or not I think the way you handled the issue was fair and neutral. No matter what side of the aisle you are on this whole healthcare thing is junk. The fighting and bickering..whatever has just been handled badly. Thanks for a great website. I really enjoy your blog and get lots of useful info from it. With that said, this is the first time that I’m offended by something you wrote and would ask that you keep things non-partisan, whatever your political or religious beliefs. Using the derogatory term “Obamacare junk” to describe a national health care plan really turns me off. Many of us who are choosing cloth diapers for environmental reasons are also progressively political folks who believe that health care is a right we all must have, not a privilege for the wealthy elite as has been the case in our country for so many years. As an artist in my twenties I worked to make ends meet and really struggled to afford proper health insurance. Thanks for being respectful of ALL your readers. Good article, but I think that you made a mistake in using the term “Obamacare junk”. Not only was *I* appalled that you termed it that way, making me feel far less favorable toward the rest of your article, but I was also struck by the political comment in a normally politics-neutral blog! Please remember that MOST people who care about green issues and natural alternatives are PROGRESSIVES and may be turned off by such negative political comments that, in fact, have NOTHING to do with cloth diapers. Save your political commentary for posts about politics, not cloth diapers! You could be insulting the very people who are most likely to make the switch! Cloth diapering IS becoming more common (yipee!)!!! I am due with my first baby on December 18th, and last weekend my husband and I went on a “group date” with three other couples whom we had recently met. Two are expecting their first babies on December 14th and 21st, and one is expecting her second baby on December 21st as well (there was a crazy amount of hormones bouncing around the room, as one could imagine :)). Great article Autumn, Have you also noticed how the disposables are coming out with “designer” and “fashion” looks. I think they are getting frightened by the cuteness of cloth diapers also. Autumn, I love your information and your site! I almost always agree with you! But here I disagree with you slightly, I am confident and glad to think that cloth diapering has increased so that less children are in disposable diapers. One thing that your thought process about the drop in sales does not account for is the increase in diaper rash ointment… I don’t have any children, yet, but if we are blessed with that opportunity, my husband and I plan to use CD. From everything I’ve read and heard, when babies are in CD they suffer less diaper rash. So if the drop in sales is associated with switching to CDs why would kiddos have more rash, thus necessitating more ointment? I agree, I buy CJs and use it for EVERYTHING! Bug bites, burns, drool rashy chin, scrapes, cradle cap, baby acne…EVERYTHING. Only a few times has any been applied to a bum and I’ve bought 3 jars in the last 6 months. I recently noticed cloth diapers at Wal-Mart….a sure sign it is going main stream! I love this website you have done a great job spreading the word on cloth diapering as well as posting lots of helpful info for new families. With our first son we did disposible diapers our 2nd son recieved BURNS (they looked like acid burns) on his behind from pampers… after that we swiched him into a biodegrable disposibles and we never had any issues agian. But then our 3rd baby we have gone cloth… and I will never go back! It is expensive to start up…. we went with BumGenius and spend well over 300$ BUT we will save about 2500 in the long run! When we switched over I found this site… and you answered all of my questions I had about how to use them and clean them. THANKS a BUNCH! I agree completely! Why would they not put more focus on this as a cause? Because it would be a positive spin and the so focus on the negative side of everything. I have noticed that our local baby stores are carrying more and more cloth diapering options, to the point now that they are a reasonable cloth resource. Well said, Autumn. It all makes sense. Keep up the good work. We are so many on a mission to lift the cloth diaper category, making more parents see that it is a good alternative to disposable diapers. Thanks for a good article.